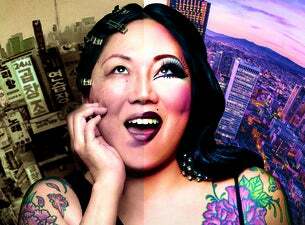 Comedian Margaret Cho is coming to the UK this December with her latest show Fresh off the Bloat. "This is my sickest show to date. My grandmother said, 'You look like bloated as if you’ve been found dead in a lake after several days of searching.' Koreans are the most savage of all the Asians," says Cho. "This time, I’m talking about being fresh off drugs, drinking and on the brink of suicide and I’ve come back to life. I’ve finally been fished out of the river Styx. It’s meta. It’s magical. It’s me."